We believe that it is important to make information about our solutions, service, certification and specification as easily accessible as possible. We are providing the most accurate and up-to-date information possible and sharing our knowledge and expertise in bespoke performance doorsets, architectural ironmongery and integrated performance doorsets. Our new website features a new Let’s Specify section dedicated to helping you specify the rightbsolutions for the right applications. have moved to a customer-centric layout so you can easily navigate the site and find downloads, clear widths calculator and frame drawings available for download. The Integrated Doorsets and Architectural Ironmongery sections provide all of the information for our performance doorset and architectural ironmongery solutions including full details of all performance certification for fire and smoke, acoustics, security and strength and information on antimicrobial, radiation shielding, finger protection and privacy. The Technical Resources section is dedicated to our online information resources and tools to help with the specification of our solutions. This section contains technical guides, information on standards and legislation, BIM (more about BIM later in this edition), NBS specifications, literature downloads, widths calculator and frame drawings. This, along with the Let’s Specify sections within each of our performance doorset solutions, gives you the most comprehensive technical and specification information available in the market today. We will be constantly developing and updating this information to help keep you fully informed. The new Design Magazine section is where you will find our project gallery and case studies of recently completed projects across all of the sectors in which we operate, as well as all the latest news from Leaderflush Shapland. Working together with our partners, our team has developed a new website which is rich in useful information and will be a valuable resource for you. 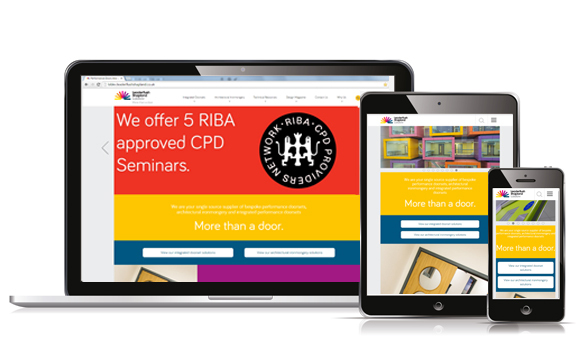 We are proud to be a leader in the bespoke performance doorsets, architectural ironmongery and integrated performance doorsets field and look forward to sharing our knowledge and expertise with you through our new website. We hope you like it and find it useful and look forward to your feedback.